It's Monday, March 25, 2019. Let's start here. 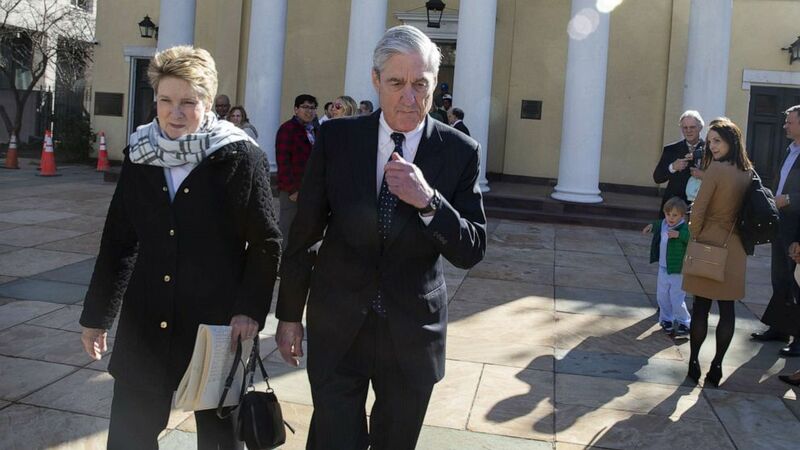 Robert Mueller's investigation, according to a summary written by Attorney General William Barr, showed that Donald Trump's 2016 campaign didn't conspire with Russia, and it's "about as conclusive as it can be," ABC News Chief National Correspondent Terry Moran says on today's podcast. Barr's letter does describe Russian efforts to influence the election, but Mueller "did not find that the Trump campaign, or anyone associated with it, conspired or coordinated with the Russian government in these efforts." Mueller's "conclusions raise more questions than they answer," House Judiciary Committee Chairman Jerry Nadler, D-N.Y., said Sunday. "The American people are entitled to a full accounting of the president's misconduct referenced by the special counsel." Democrats may ask Barr to testify before Congress. Others are demanding to see the full report. On "Start Here," Chief White House Correspondent Johnathan Karl says of Trump's reaction to the news, it's "a 9.5 out of 10 -- at the very least, this is as close to a complete vindication as the president could have asked for." But, Barr wrote to lawmakers,, "while this report does not conclude that the president committed a crime, it also does not exonerate him." Republicans on Capitol Hill disagree and are declaring "case closed," Chief Congressional Correspondent Mary Bruce tells us. "Start Here" also talks to Chief Affairs Analyst Dan Abrams and former New Jersey Gov. Chris Christie about the legal implications of the Mueller report's findings. "I would guess," Abrams says, Mueller "has a wealth of information" on Trump's business dealings. 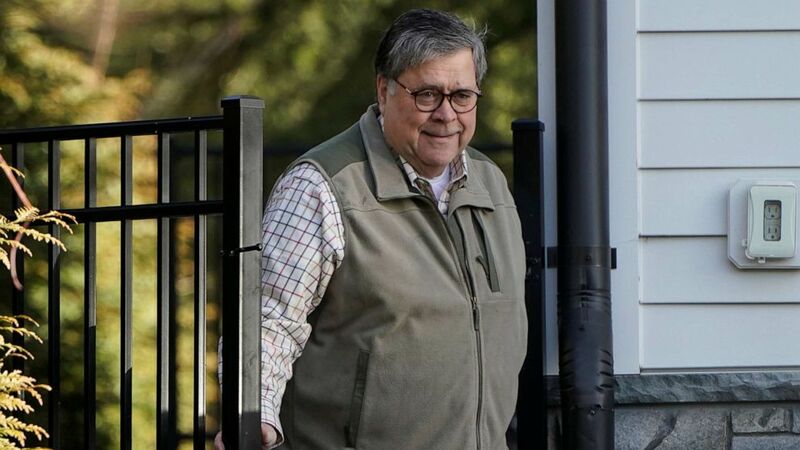 (Joshua Roberts/Reuters) Attorney General William Barr leaves his house in McClean, Va., March 24, 2019. "Start Here" is the flagship daily news podcast from ABC News -- a straightforward look at the day's top stories in 20 minutes. Listen for free every weekday on Apple Podcasts, Google Podcasts, iHeartRadio, Spotify, Stitcher, TuneIn or the ABC News app. On Amazon Echo, ask Alexa to "Play 'Start Here'" or add the "Start Here" skill to your Flash Briefing. Follow @StartHereABC on Twitter, Facebook and Instagram for exclusive content and show updates. If you are in crisis, please call the National Suicide Prevention Lifeline at 1-800-273-TALK (8255) or text TALK to 741-741: Another Marjory Stoneman Douglas shooting survivor appears to have committed suicide. 'Coward': Sen. Kirsten Gillibrand, speaking in front of Trump International Hotel and Tower in Manhattan, which she calls "a shrine to breed division and vanity," criticizes the president and his policies in her first major 2020 campaign speech. An estimated $750 million: Wednesday's Powerball jackpot will be not small. Gronk was the most efficient receiver we've seen: Yes, receiver -- not just among tight ends. 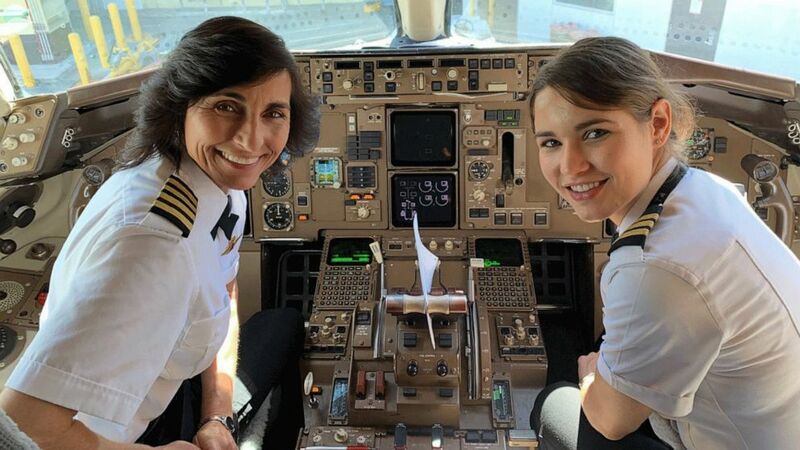 This photo of a mother-daughter flight crew has gone viral. John R. Watret, chancellor of Embry-Riddle Aeronautical University, tweeted a photo of Capt. Wendy Rexon and her daughter, First Officer Kelly Rexon, writing "Just flew from LAX to ATL on Delta piloted by this mother daughter flight crew. Great Flight. Inspiring for young women." (Dr. John R. Watret/Embry-Riddle Aeronautical University) Wendy Rexon poses with her daughter, first officer Kelly Rexon, in a Delta Boeing 757 after the pair flew from Los Angeles to Atlanta together. Over the next 20 years, the aviation field will need another 790,000 pilots, according to Boeing. "There has to be more diversification in the industry," Watret said. "When there are more opportunities, everyone wins."